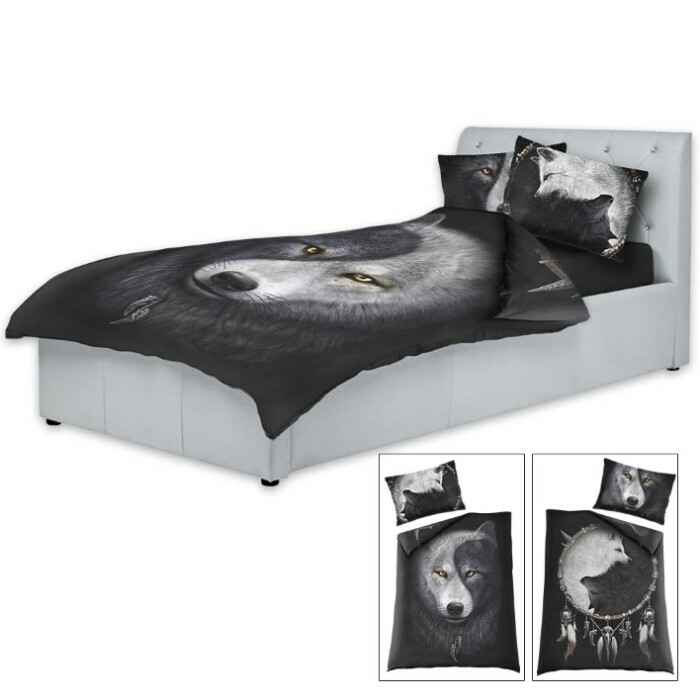 Our Wolf Chi Duvet Set illustrates that within nature there is the potential for both good and evil, for light and dark. Both must exist as neither can be anything without the other. 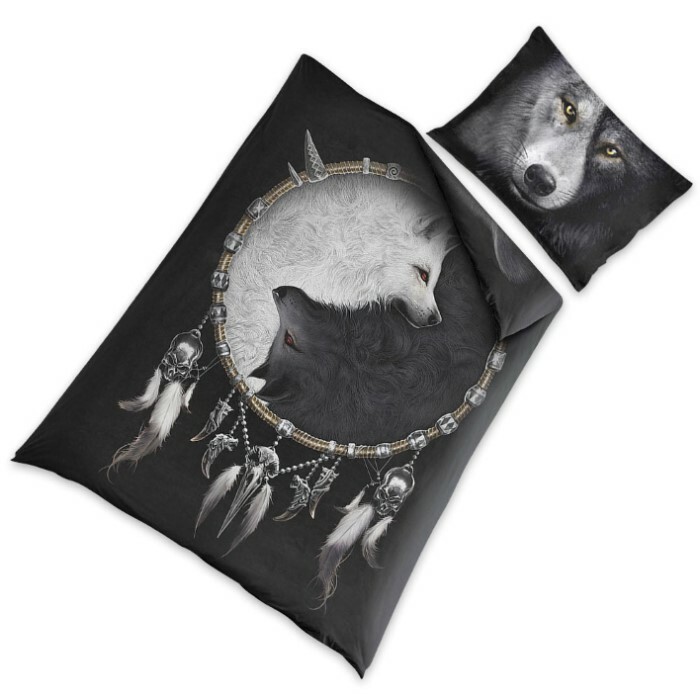 This artistic duvet features dual wolves entwined within a dream catcher representing Yin and Yang. It is made of top quality, 100% woven cotton. 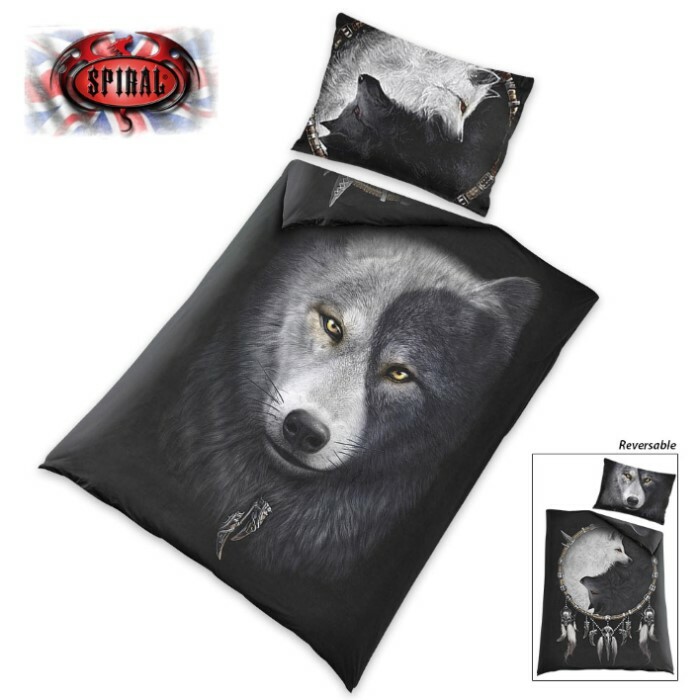 A matching standard sized pillow sham is included.